Still reeling from the release of yesterday’s stunning debut trailer? 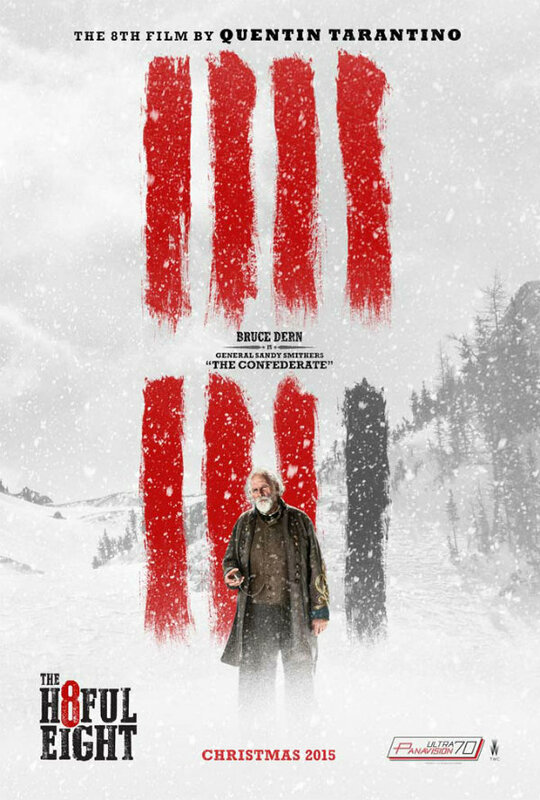 Fret not, for The Weinstein Company has today released an ice-cool new poster for The Hateful Eight that depicts Bruce Dern as The Confederate – or General Sandy Smithers, if we’re being polite. Joining Quentin Tarantino’s eclectic motley crew, the two-time Academy Award nominee is best known for playing unhinged characters in the likes of Nebraska and Coming Home, meaning he’ll be right at home in the auteur’s latest work. 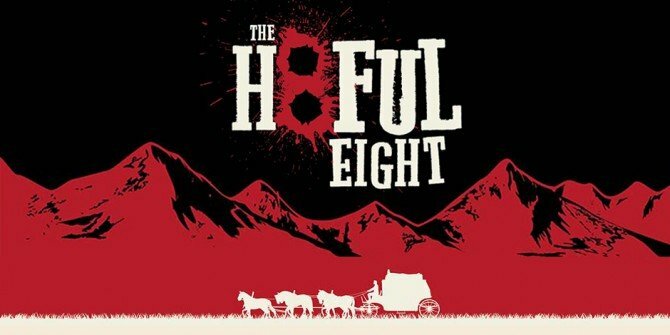 Set in the Wyoming outback, The Hateful Eight orbits around the titular group of bounty hunters who find themselves marooned in the mountains when a seemingly relentless blizzard comes bearing down over the hillside. Channeling Reservoir Dogs’ dynamic, the film will see the mismatched group begin to turn on each other in a stylistic romp that looks to be decidedly Tarantino. What’s grabbing everyone’s attention, though, is The Hateful Eight‘s stunning vistas, which were captured with the 70mm format in mind. The result? Breath-taking visuals that deserve to be seen in the premium format. Alongside Dern for the dark actioner are Samuel L. Jackson, Kurt Russell, Amber Tamblyn, Tim Roth, Michael Madsen, Walter Goggins, James Remar, Denis Menochet and, in all likelihood, a Tarantino cameo. Quentin Tarantino’s The Hateful Eight will make its bow in select 70mm theaters on Christmas Day, where we implore you to go see it should you have the chance. The film will expand to standard cinema screens on January 8.